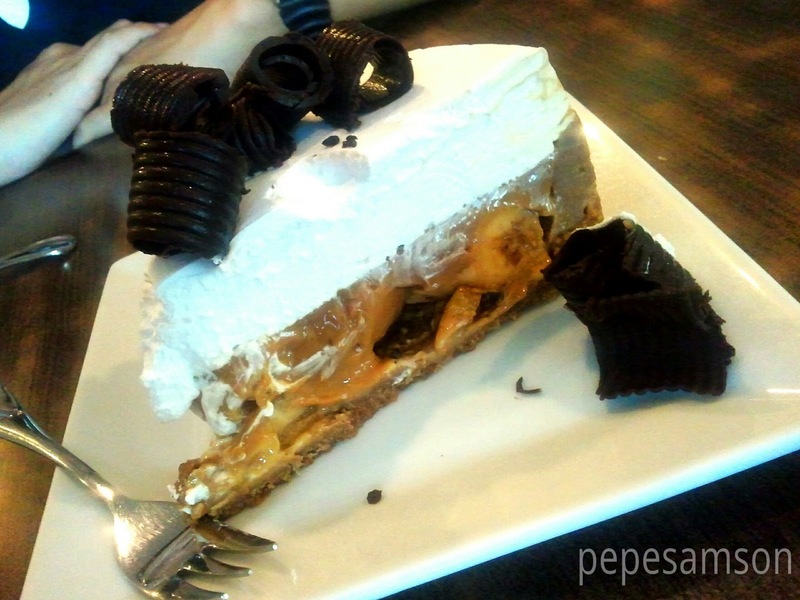 Home / cafe / cake / dessert / food / italianfood / marikina / pasta / pizza / qizia / restaurant reviews / The Foodie / The First of Many More Trips to Qizia Cafe! I have heard so much from my friends about this small restaurant in Marikina called Qizia Café, so finally I decided to give it a try. Located behind the SDS Medical Center, it is not that easy to spot for passersby looking for a place to eat. Fortunately for me, I trust friends’ recommendations more than any loud neon sign anytime -- my commute to Marikina was worth it. Deciding what to eat is perpetually my problem, as I tend to desire everything in the menu, so for times like this I usually order my favorites. 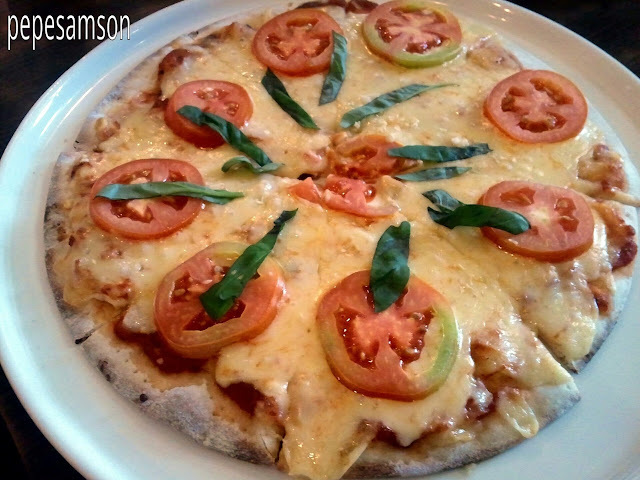 Since they serve mainly Italian fare, I chose Tuna Pesto and Margherita (for sharing). This was the same combo I ordered on my first time in Bellini’s, and I must say Qizia’s versions are quite good. The smell of the pesto intoxicated me upon being served. 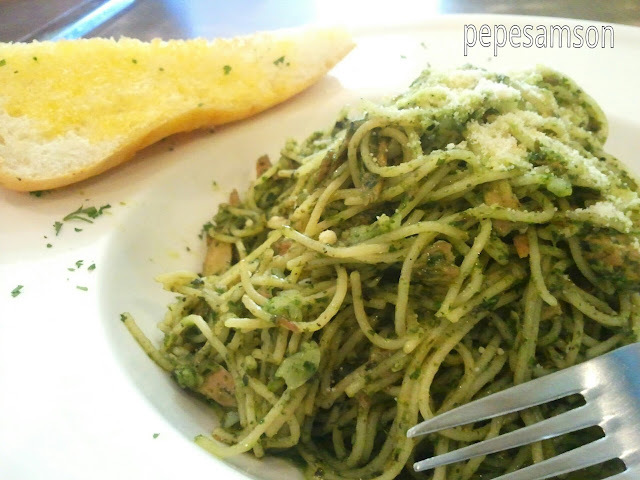 And though I prefer penne over angel hair (actually, I prefer anything over angel hair), Qizia’s was incredibly oily and that’s the way I like my pesto. 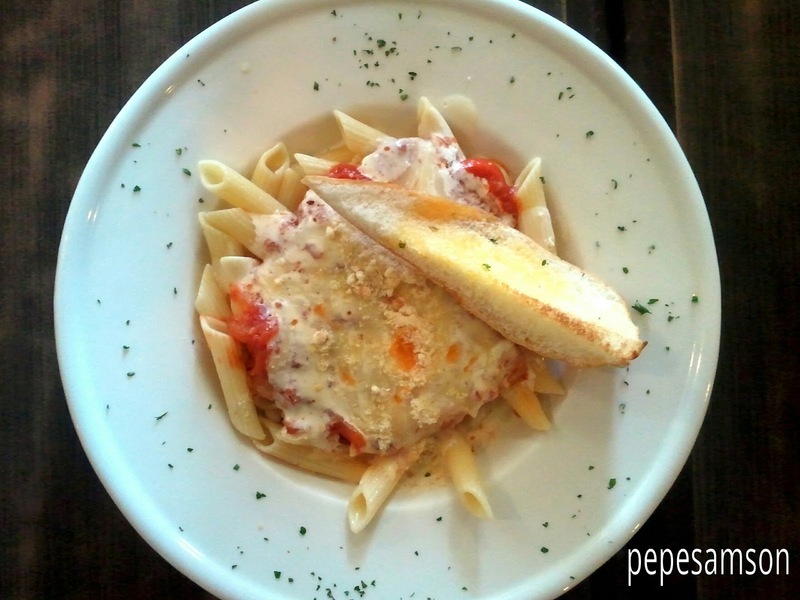 My friend Erick ordered the Creamy Cheese pasta, which he says is his eternal favorite. Pretty good too – perfect for cheese lovers. Sausages are tossed in so your taste buds will be kept interested. We each took four slices of the Margherita, it was that good. 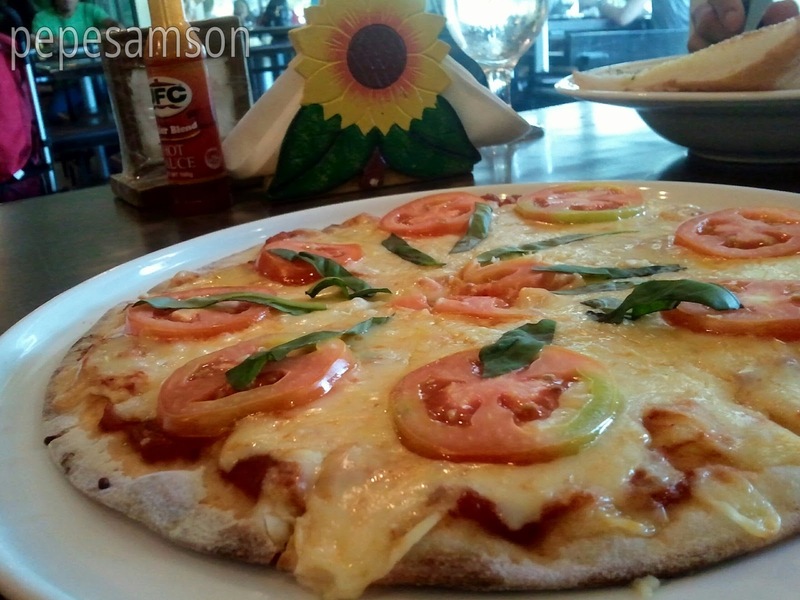 Crispy thin crust that does not collapse when your hold your slice too long, yummy cheese, fresh tomatoes: perfect. 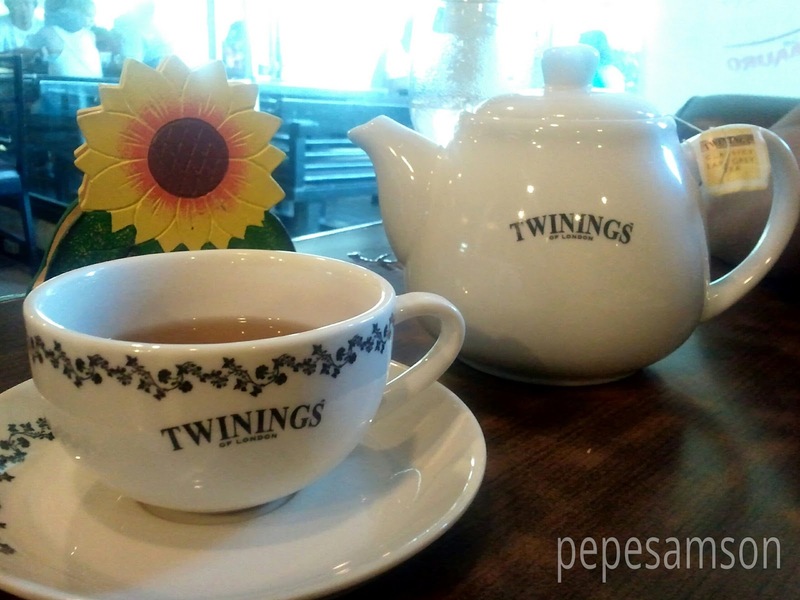 We ended our meal by sharing a Banana Caramel Pie, which is similar to Banapple’s Banoffee Pie, and some Earl Grey tea, which, I’m so happy to say, they served in a pot. If you’re looking for an affordable place to eat with awesome service, Qizia can provide this—and more. I am amazed at how meticulous they are with their food presentation, unusual for café types like this. For half the price of most mainstream Italian places, you get a cheaper version that is almost as good—some would even say, better. Everything we ate cost exactly PhP500. I suggest leaving your prosciutto cravings at home and just dig in to what Qizia has to offer. I am already thinking what to order on my next visit. wumo-watermark! nice! phone cam lang ba to? galing!